Put yourself in the shoes of your followers…they just saw a nice fitness suit that you shared or a useful kitchen appliance or great hotel that you recommended with an affiliate link on your blog. You may have also shared it on Instagram, referring to your blog and hoping that your affiliate link will be clicked. Whatever the value you create for your readers, while they may appreciate it, they do not necessarily want or feel able to make a spontaneous decision to purchase your recommended products at the very time that they visited your social media site or stumbled upon your website. That is exactly what the cookies technology is trying to solve, namely, to give publishers enough incentives to share products they love and be compensated when a reader or follower is converted into a buyer. Cookies are little pieces of code that are implanted on readers’ browser when they click your affiliate link (wherever it is placed). Cookies are used by affiliate networks and programs to track clicks or sales that refer to merchants’ sites in order to pay you commission if and when a user makes a purchase. The cookie length determines how long it will track a potential sale. When the purchase is completed, the affiliate’s cookie is recognized as the source of the sale and is credited with the commission. 2. Recent changes in privacy laws in the EU as well as concerns arising from the use of personal data by large companies on a few occasions in the past year (most notably, Facebook’s role in the Cambridge Analytica scandal) have required advertisers, affiliate networks, and even browsers to implement new policies and practices. VENNDY’s tools offer two more ways to solve this problem of unspontaneous purchases, based on the understanding that readers may wait for better timing, take the time to consider, and maybe even research an item before making up their mind whether to buy it. The first way is to help readers shop easily in one place on an ongoing basis for all your favorite products, making it easy for them to revisit your go-to destination for all the products you mention in your blog, social media, and other platforms. The second way is to offer them to sign-up for their own VENNDY account, where they can save all the items they liked from anywhere on the web. We’ll talk about these tools later on. But first let’s elaborate a bit more about the WHY. Why should you find a solution for helping your readers access your VENNDY Shop or save items for later? As explained before, affiliate marketing is built on the installation of cookies on users’ browsers that track their browsing and shopping activities for a certain period of time. If a reader visited your blog today and clicked on one of your affiliate links, the cookie will save this session for the length of the affiliate program lifetime (usually ranging from 24 hours to 120 days). (Learn more from our blog post How To Evaluate Affiliate Programs Before Joining.) Provided that users don’t disable the cookies, even if they book that hotel you recommended two months after coming across it on your website, you will still be credited with commission. The simple answer as to why you should help your readers save your recommended items for later use in a shop-like setting is to encourage an ongoing interaction with your content and to offer them easy and ready access to every single item you have mentioned as well as to potentially save it in their own VENNDY accounts. 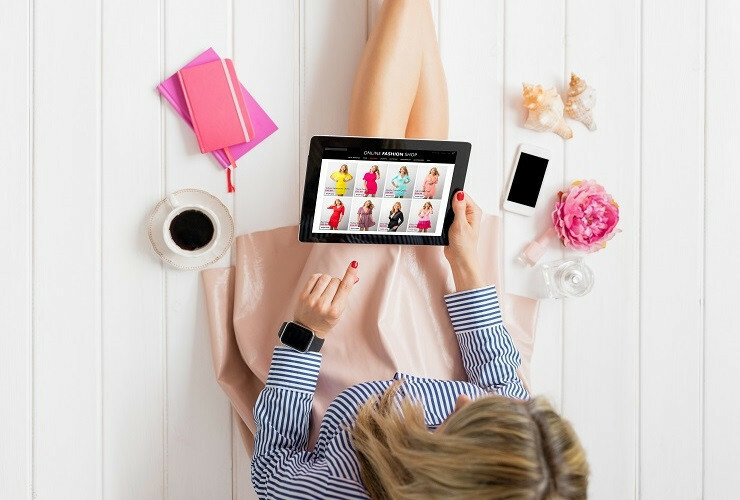 When they sign up to a VENNDY account, they can use VENNDY’s tools to add items to their Loves or Wish List and even build their own collections of online favorites when, for example, planning a vacation or creating a winter wardrobe list. But the longer answer is more complicated and relates to recent changes in privacy laws requesting user consent for the tracking and processing of their personal data, which includes their online behavior patterns. Recent breaches of privacy have highlighted the need for legislation and forced organizations to change what and how they track users’ online behavior. This is more than just the collection and processing of personal data and extends also to tracking users’ online habits, for example, which websites they visit, in order to personalize and target ads and other services. 1. The EU’s General Data Protection Regulation (GDPR) is one of the much discussed material changes to have influenced the online ecosystem. You can read more about GDPR in our blog post HERE. California was the US first state to adopt a similar change by passing the California Consumer Privacy Act (CCPA) in June 2018 (coming into effect in 2020). Source. It is yet to be seen how this will impact other states. Some say that the difficulty of maintaining a different set of privacy rules for California will make it impractical not to adopt the regulations nationally – or internationally – especially if other states decide to follow suit. 2. Apple has lately updated its Intelligent Tracking Prevention (ITP 2.0) to block cookie-based tracking for third-party cookies. Apple isn’t a fan of companies tracking our behavior and that is why it has come up with a way to give users more control by placing "restrictions on cookies based on how frequently a user interacts with the website that dropped them.” This means that Safari will be purging existing cookies after 30 days of no interaction with the site that first dropped the cookie. You can read more about Apple’s changes to the Safari browser HERE, HERE, and the source HERE. Apple’s changes affect all affiliate links where the retailer is still using a third-party cookie for tracking and will require retailers to change their tracking solutions in order to avoid a loss of tracking. These changes currently only influence users using the Safari 12 browser. Whenever Safari recognizes a third-party cookie, the system will automatically restrict information about your visit. Safari, by the way, represents less than a quarter of the market share of browsers, and the 12th version even less than that, but it is hard to say what effect these changes will have on the policies of other browsers and companies. 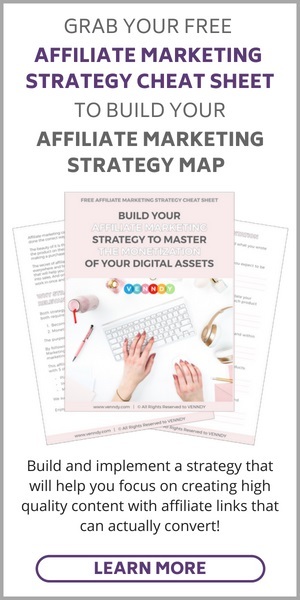 In the blog post Affiliate: Be Prepared to Lose Commission blogger Tricia Meyer explains how the ITP 2.0 may result in potential drop of your affiliate sales and how you can assess the possible impact on your site. 3. Affiliate networks have updated their policies and their requirements that both advertisers and affiliates better address the changes discussed above. For example, Rakuten, one of the largest affiliate network platforms, has collaborated with some other companies to ensure that publishers receive clear, industry-wide guidance and a consistent message from the companies with which they work. They have also adopted a new requirement that all their publishers obtain GDPR consent for affiliate links; without this consent, a link may not be tracked, and potential commissions will be lost. Here you can also find references by affiliate networks to the latest Apple ITP 2.0 changes: ShareASale, ShopStyleCollective, CJ, AWIN, Impact, LinkConnector, and Pepperjam. It is hard to say at this point how significant these changes will be and whether further changes will be adopted. What we do know, however, is that there is a need for more transparency and for clearer and more unambiguous consent for the use of many types of cookies, such as cookie IDs, customer numbers, IP addresses, device IDs, etc. So that is the Why. Now let’s see where VENNDY fits in and what this means practically for you. One of the ways to address the issue of potentially disabled cookies (by a user or browser), or shorter cookie life, is to use a tool like VENNDY. This is not a way of circumventing privacy policies but rather of adhering to the changing environment and the need for individuals to have more control over their data, preferences, and online behavior. VENNDY allows you to create an online "shop” with all your recommended items arranged, categorized, and sub-categorized in a shop-style navigation interface. 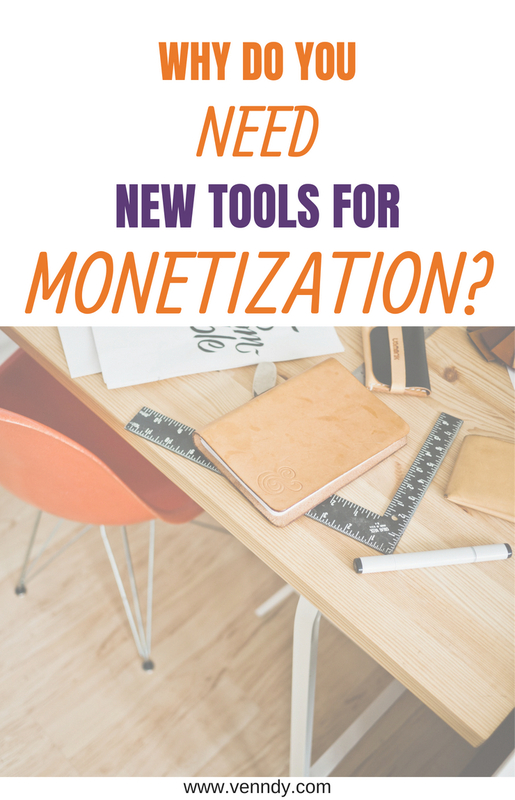 This can include items from a variety of categories and your own choice of affiliate networks as well as items you shared on your blog, Instagram, and other social media platforms. You can refer to your VENNDY shop collection by using VENNDY’s side-bar plugins. This way, all the commerce related information will be on hand for readers to check and buy whenever they are ready. What are the advantages of creating a shop destination with all your promoted products? Help your readers easily shop for your favorite items in their own time and according to their own preferences. Make your affiliate content and cookies last longer as users click and save items they like. Gather all your favorite products in one shoppable place, each with its fresh and relevant affiliate link, ready to be edited or deleted when no longer relevant. Help your readers save their Loves or Wish Lists, comment, and build their own collections. Keep your content fresh and clicked, as a potential solution to the problem of relying on cookie tracking. As it is not yet clear how the consent and browser changes will affect affiliate links, we are pointing out this advantage with caution and will continue to update how and what VENNDY’s advantages are in this context. The answer: help them to "own” the item. Your mark will still be there, especially if you add a personal note, a review or an image, but VENNDY’s tools will help readers to break down your blog post, Instagram post, and other social media shares into shoppable, clickable items that can be loved, categorized, dated, saved, and added to their own profile. They can take these items and build their own collection of stories, plan their next vacation, or design their fall wardrobe wish list. As discussed above, with all the new browsing and tracking restrictions and the adoption of new solutions, the best and most obvious option might be to help users choose for themselves; this is, in fact, what the legislators are looking to enforce. Don’t rely on automated, uncontrolled technology to trace users’ behavior but rather allow users to decide for themselves where to get their inspiration from, how to follow up on it, how and where to save it, and when to make a purchase. They extend your affiliate link way longer than any cookie we have come across. turn these items into a Story collection around themes for future events, such as a vacation, a shopping list, a dinner menu with all the relevant recipes, etc. They help you easily delete a product that is no longer available from your own VENNDY shop; it will subsequently be automatically deleted from your readers’ Loves or Wish List. As you are the one uploading the item, you control where and how it will appear. They help you to build long-term trust with your followers, who keep seeing your suggestions, saving them to their preferences, and trying them out. Their confidence in your shared preferences and in your recommendations subsequently grows. To conclude, both e-commerce practices and users’ behavior is constantly changing and new tools are thus required for all involved parties. Consumers need more options for saving and following up on recommendations they find online and publishers need to better accommodate their needs as well as dealing with the concerns that arise due to the increase in automated tracking and decrease in consumers’ control. We believe that VENNDY can help to build better online interactions based on real and authentic user experiences.